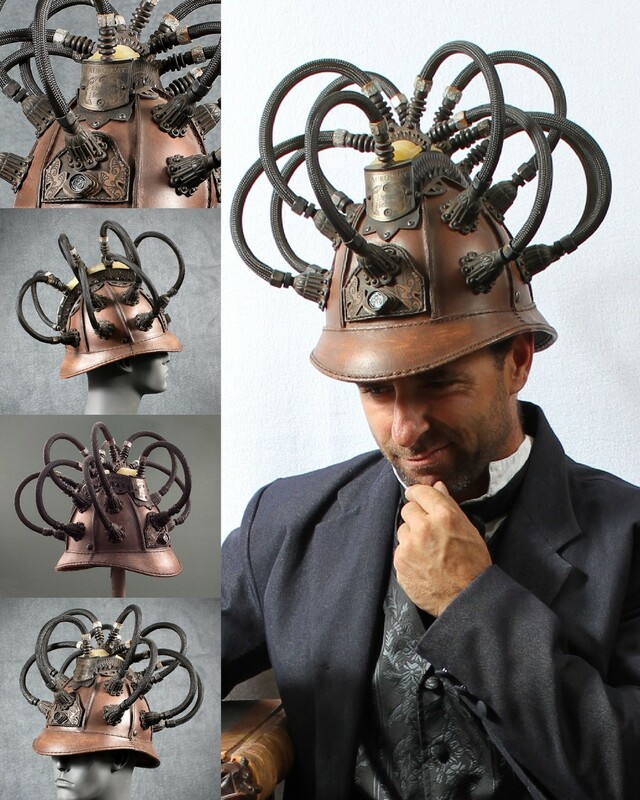 This is a steampunked version of an American dragoon helmet circa 1820. The front shield reads "Gryphon Airship". 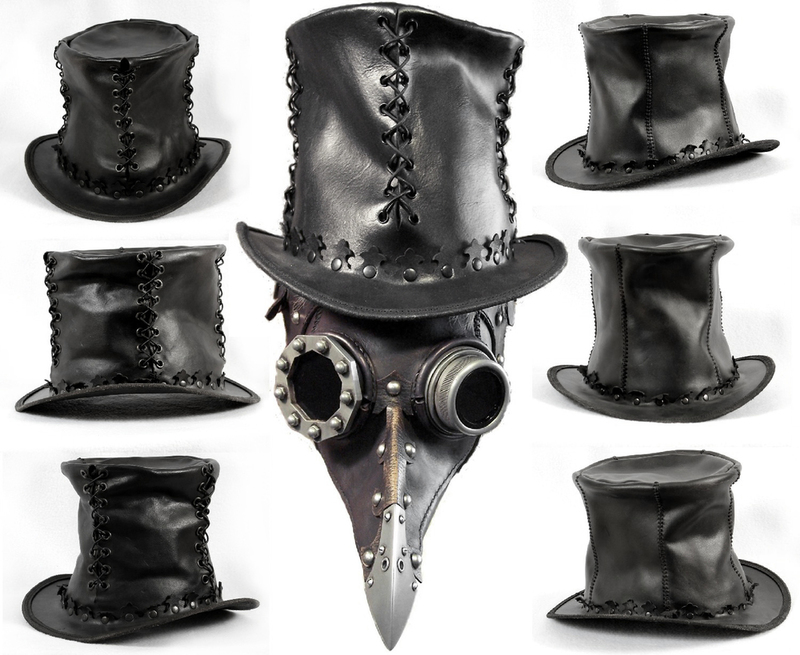 The Firemaster is based on a nineteenth century fire helmet, with distinctive birdlike wings and tail. It was made as part of the Gryphon Interplanetary Aeroship Expedition financed by Baron Henry Balzerhaught. Based on a United States Army shako circa 1840, with hair-on cowhide, and an aether detector gauge. Professor Tauruscat's greatest invention, the Dream Helmet, which allowed him to fully remember his dreams and turn them into reality. Every Victorian gentleman and lady should own a top hat.